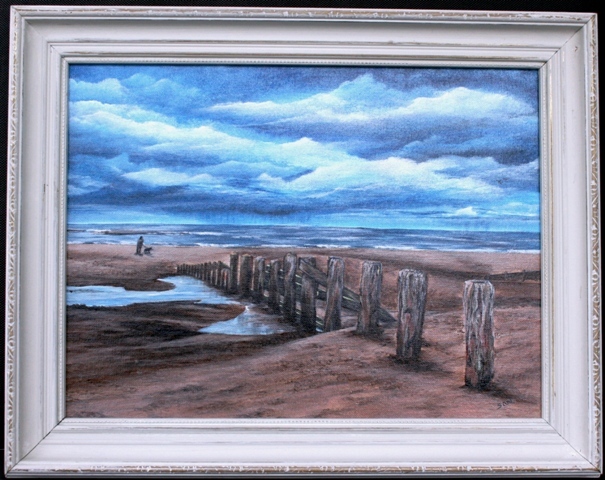 An original, signed, acrylic artwork of Spittal in Northumberland. Measurements are 49 x 39.5cm including frame. Showing the beach at Spittal in Northumberland. 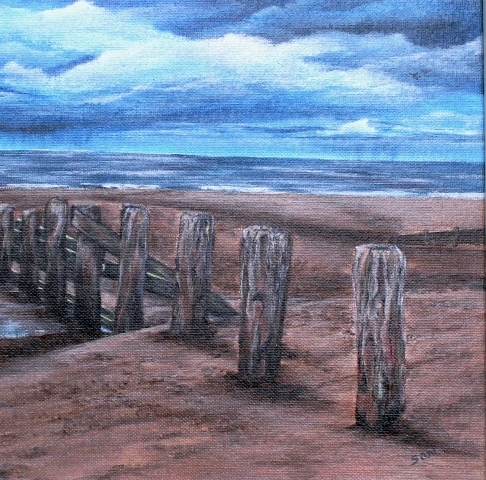 The "groynes" stretch out to sea over the wet sands and pools of seawater. 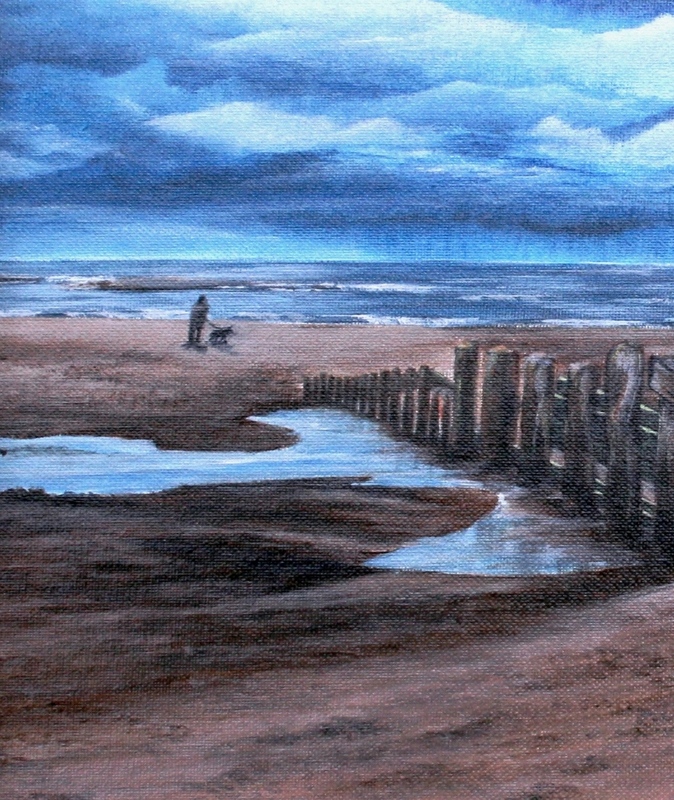 A man walks his dog, enjoying the peace and quiet of the beach, listening to the waves lapping onto the sand as a storm develops in the distance.